BROCKVILLE, ONTARIO--(Marketwired - Jan. 21, 2014) - The 50 Years of Our Flag Committee is hosting a reception to celebrate Canada's Flag Day in anticipation of next year's 50th anniversary of the adoption of Canada's Maple Leaf Flag. 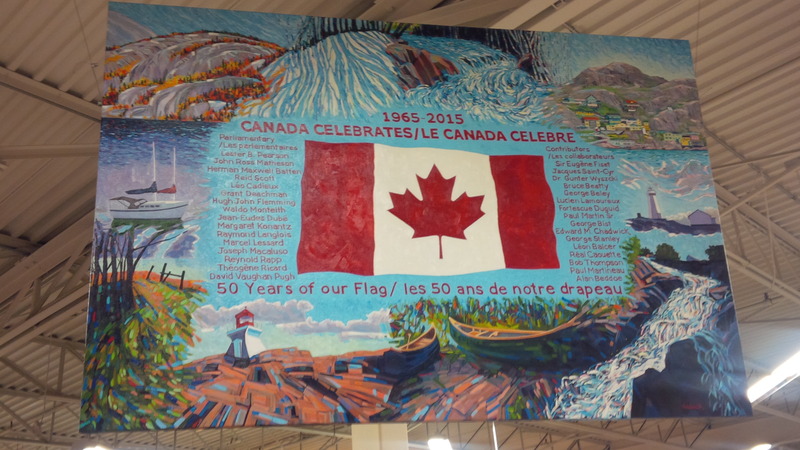 There will be an Official Unveiling of the commissioned artwork known as "Canada Celebrates 1965-2015". This commemorative piece of Canadiana has been painted by the esteemed artist Phil Chadwick in collaboration with the late John Ross Matheson and Robert J. Harper. Brockville "Birthplace of The Canadian Flag"